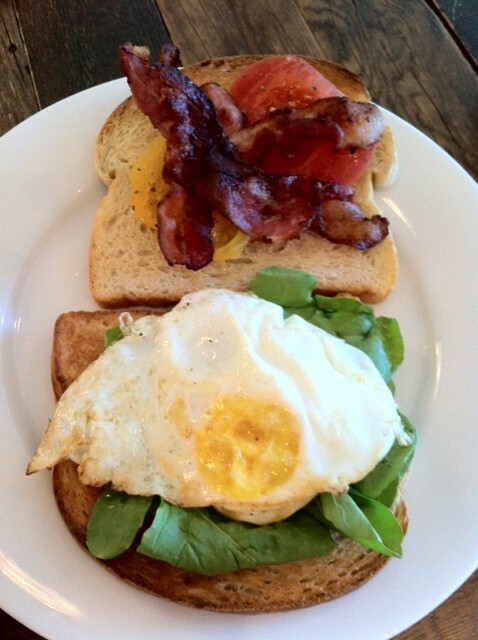 I LOVE traditional fried egg sandwiches (with mustard, pickle, cheese, etc) and I LOVE classic B.L.T. sandwiches so I thought I would merge the two and make a B.E.T.A. 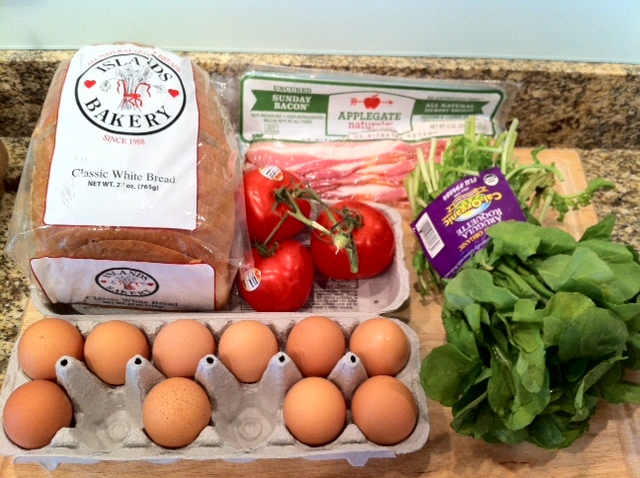 sandwich- bacon, egg, tomato & arugula. When I told Mark what I was thinking of having for dinner, I was almost positive he was going to race home…not because he would be excited for the sandwich but because he would want to start cooking a meal of his choice. We have established a new rule in our kitchen- the first one home, wins :0) Anyway, he was actually excited about it so after work I dropped by the PCC in Fremont to pick up the goods! Toast your bread and assemble your sandwiches! 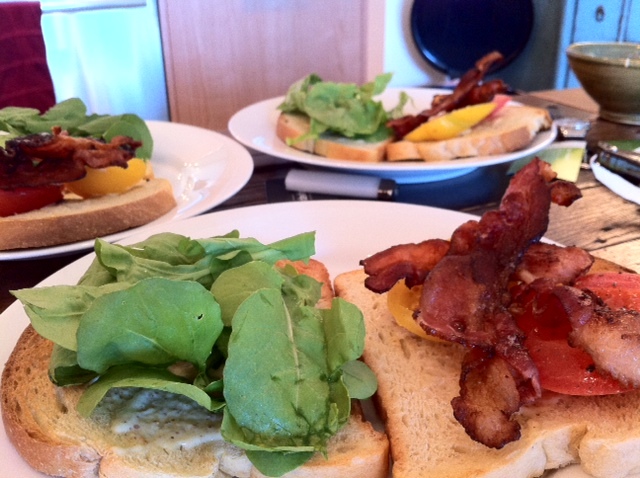 Pretty simple- bacon, fried egg, heirloom tomatoes & arugula on toasted white bread with a dijon mustard spread. Quick tip…cook the bacon first and fry your eggs in the bacon grease. Also, if you like your eggs a little runny…make sure you don’t over cook them! Super quick, easy and delicious.